This selection is just if you want to order as a guest or as registered customer. 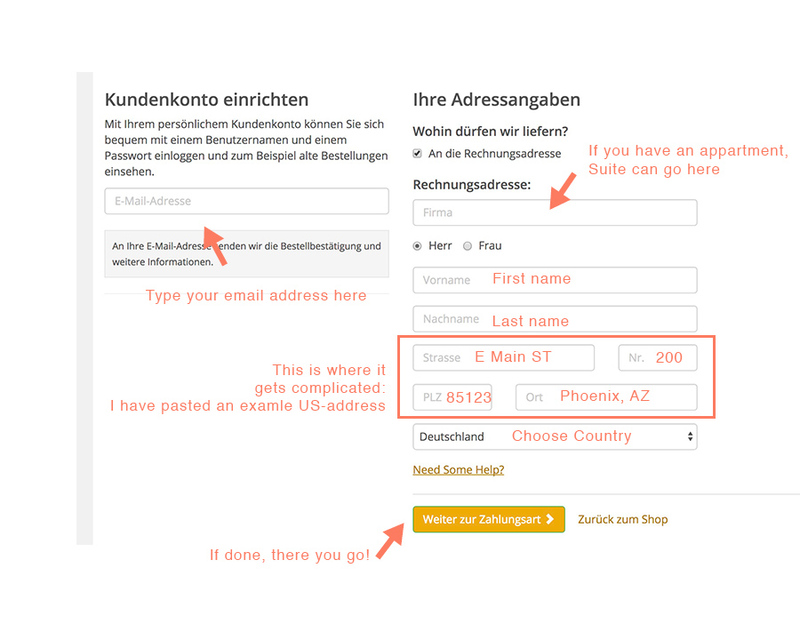 This is one looks a bit more complicated than it should, I pasted an example address to show how you can easily register. 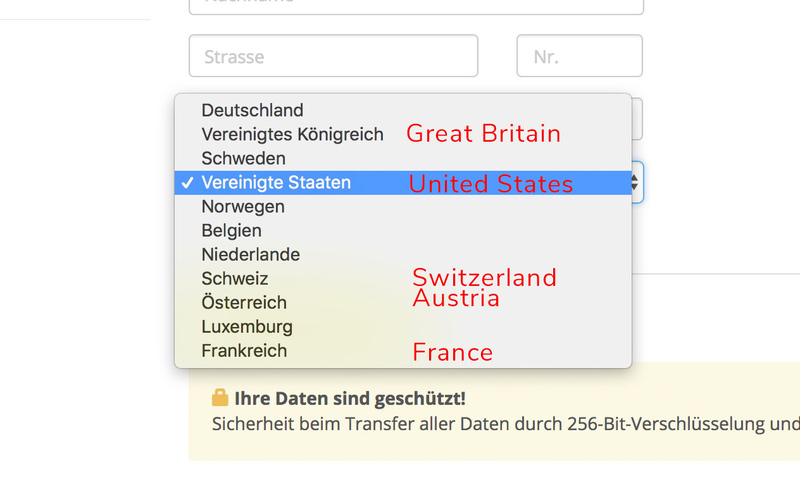 For Country Deutschland (Germany) is pre-selected or not, depending on your browser settings, it might be detected. Here is a list with names that might not be obvious to anyone. 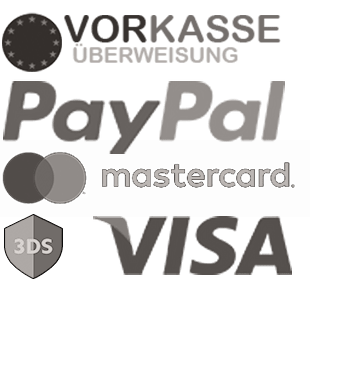 "Vorkasse" is a typical European payment solution that requires SEPA, IBAN or BIC numbers for bank transfer, if you never heard about any of these terms, you better stick with PayPal. This is the last step. Here you can check if everything is alright. 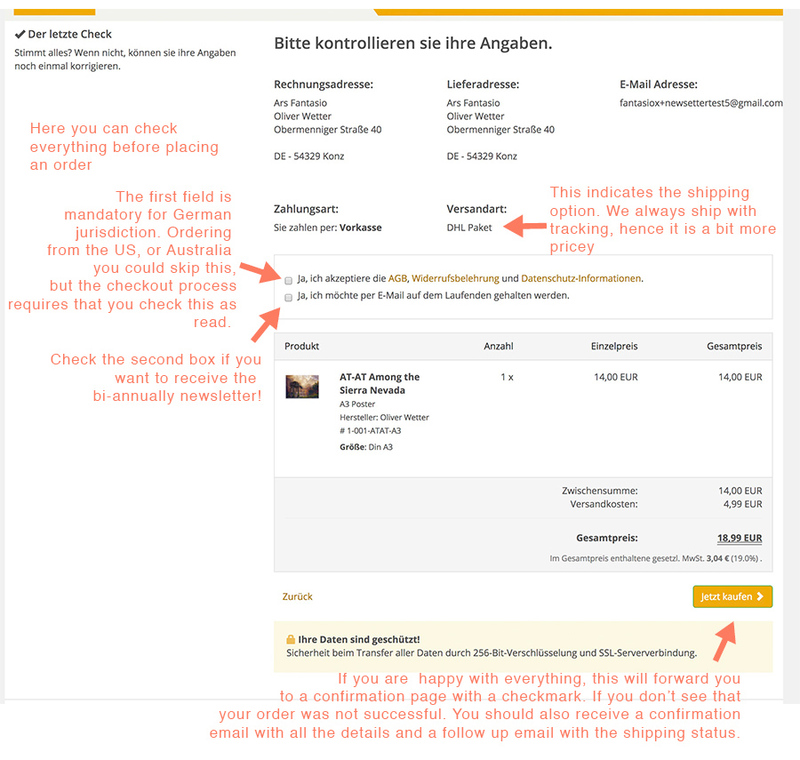 After you click on the yellow button, you should be forwarded to a confirmation page. 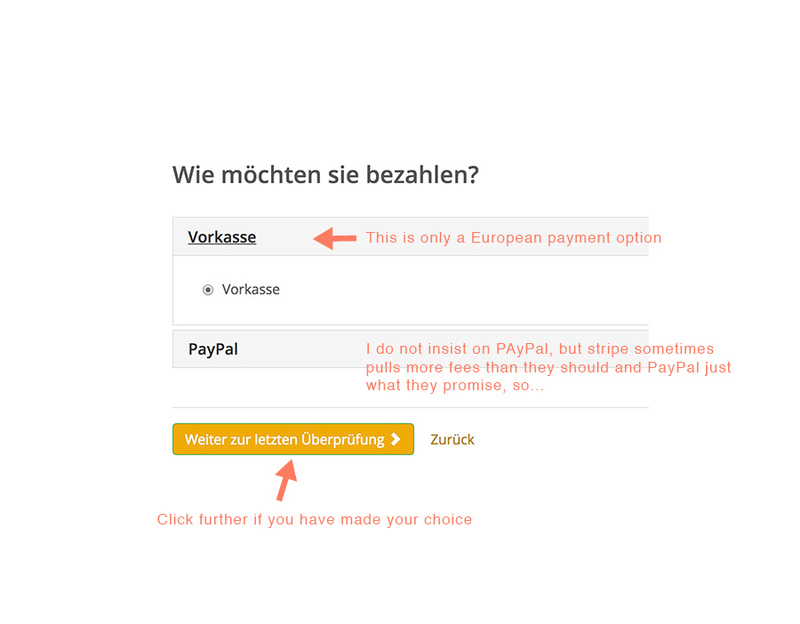 You should also receive a confirmation email as well.